It's a blogger tradition to wrap up the year with a look back at favorite posts or expressing wishes for the year ahead. This year I'm doing something slightly different by highlighting just one post. 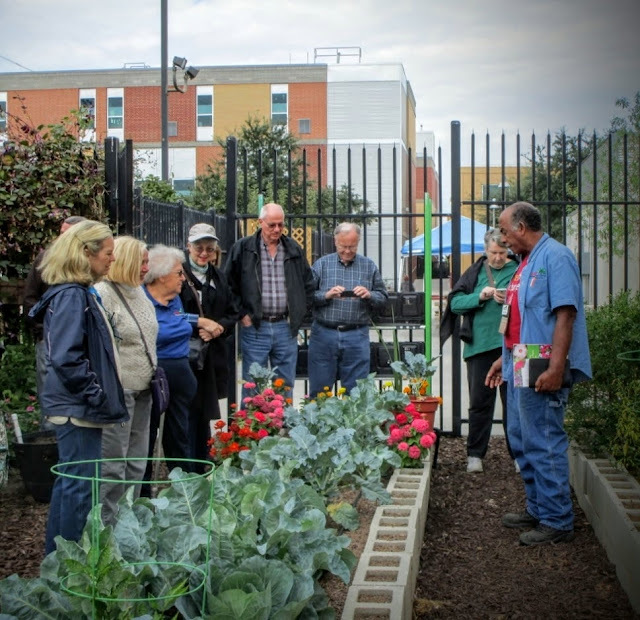 Remember when I toured Haven for Hope started as a means to help homeless veterans and now helping all homeless people here in San Antonio and mentioned that Andrew Waring could use a little help in the garden? Andrew tells me the phone has been ringing. A lot. More than even a previous newspaper article had done. For a number of years we had two different trees each year--one reserved for fox ornaments with white lights and another more colorful tree decorated with collected memories from our travels through life. Recently I've been alternating years with just one tree and, since last year was for foxes, this has been the year for memories. Before packing it all away I'll share a few of my favorites. 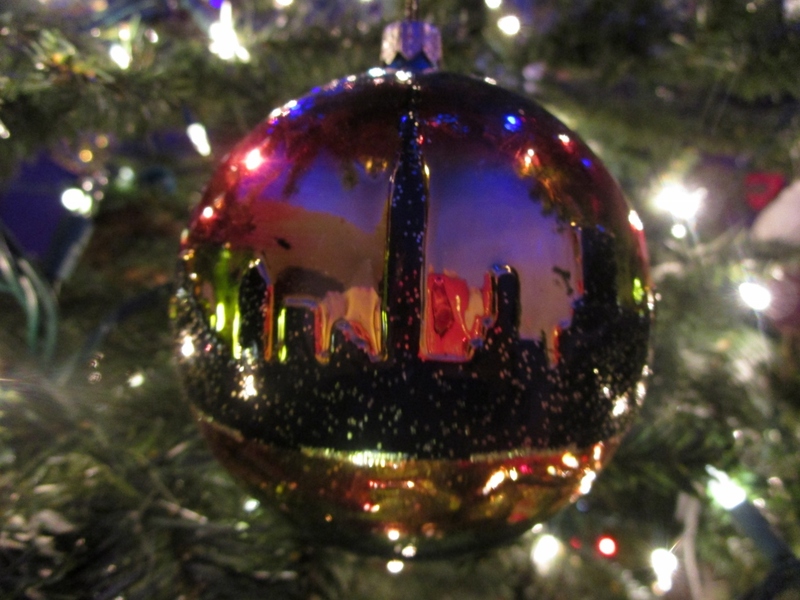 We add more ornaments each year. 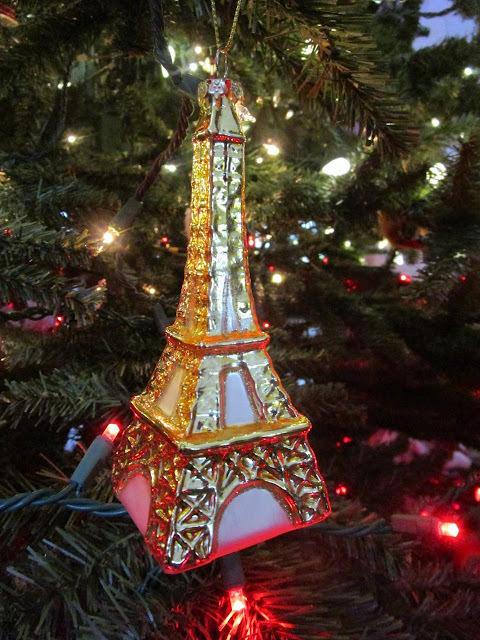 At the beginning of December I posted about lighting this year's tree in the colors of the French flag and realized we needed an Eiffel Tower ornament. I ordered one from eBay--my favorite source for almost everything. 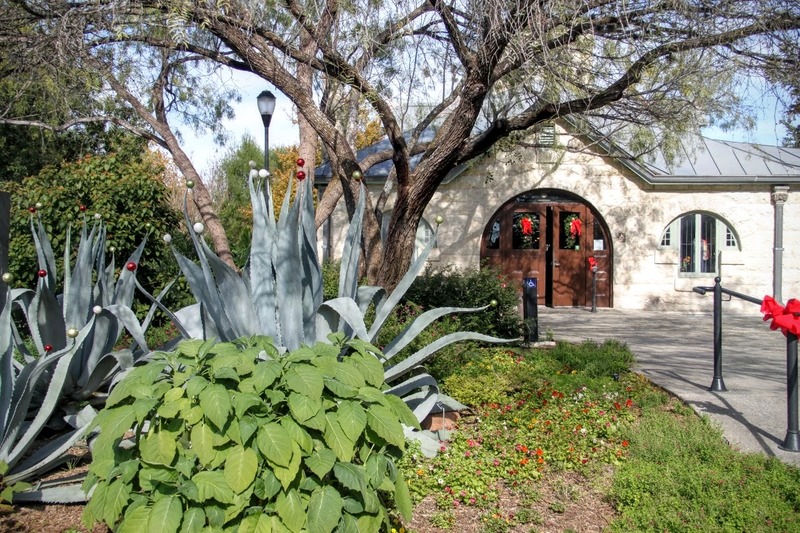 Okay, so we're just a teeny bit obsessed with Hotel Emma, the new boutique hotel creating buzz well beyond San Antonio. I recently joined friends for another look on a guided tour and we were wowed once again while learning much more about the hotel. If you haven't seen my original post, this post takes up where that one left off. Not your typical hotel lobby. Machinery left in place underscores Hotel Emma's lobby is the former machine room of the Pearl Brewery which operated here for more than a century. 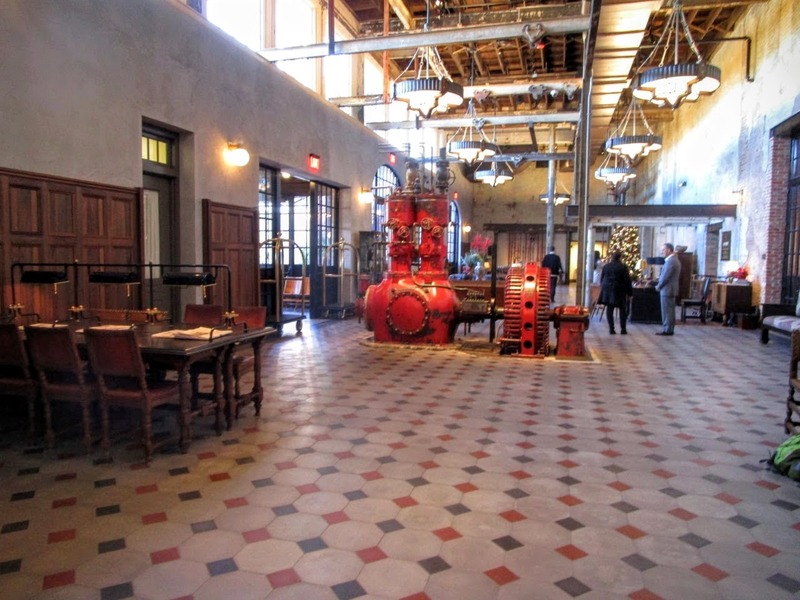 Concrete floor tiles reproduced from originals found on site add to the distinctive look. This year's greeting is also my entry for the Poinsettia Challenge over at Danger Garden. 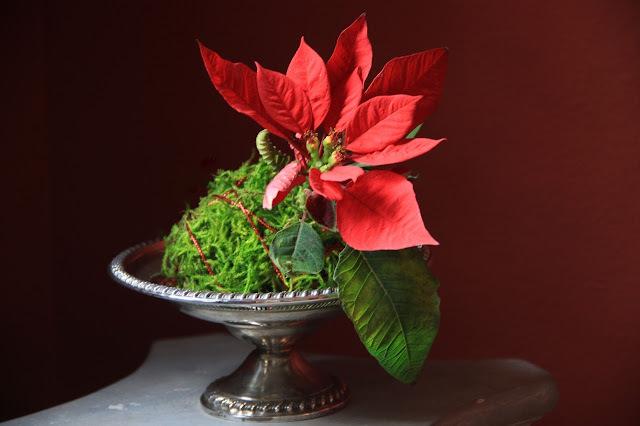 I hadn't planned to enter until my friend Melody gifted me with a tiny Poinsettia plant. After several tries to surround it with unruly reindeer moss I grabbed some red glitter cord to tame the moss and then it hit me that this was perfect for Kokedama, the artful Japanese method of displaying a small plant simply. I couldn't find a plain background suitable for hanging so it's been set in an antique silver candy dish against the red entry wall. I've seen the Texas Governor's Mansion in Austin from outside the fence many times since it was close to where my grandparents lived. But I'd never been inside until last week when my friend Melody invited Neal and me along on a holiday tour of the "Mansion". 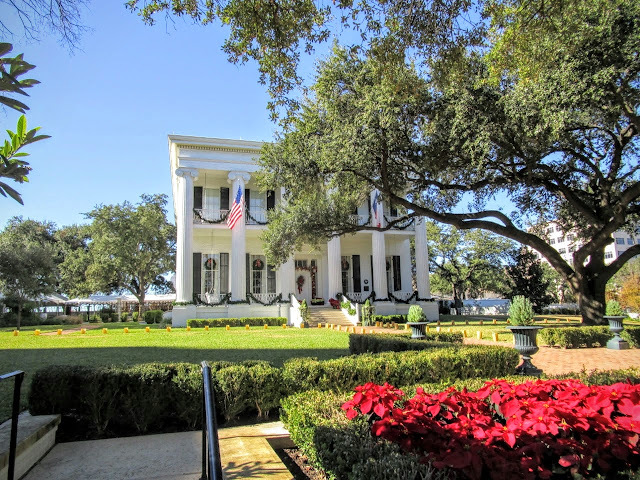 Built in 1856, it's the oldest continuously occupied executive residence west of the Mississippi. 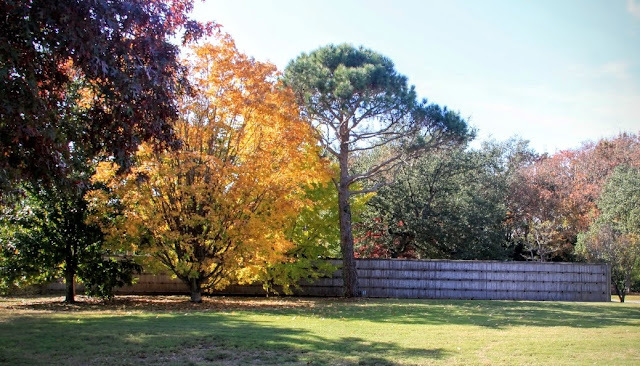 Fall colors usually arrive much later in San Antonio than in more northern regions. This year it seems later than ever so we can combine fall color with holiday cheer. Last week I attended an event at the San Antonio Botanical Garden and found both in abundance. I'm linking with Donna at Gardens Eye View for Seasonal Celebrations to show off how we enjoy two seasons at once. The Carriage House entrance is ready for the holidays. 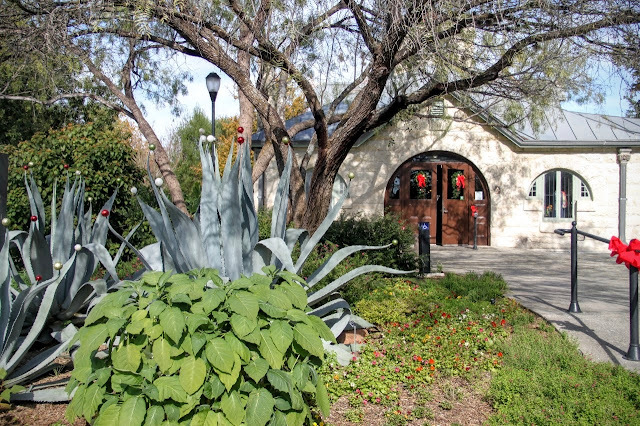 There are many changes in the works for the San Antonio Botanical Garden and construction is underway for a new entrance that will accommodate larger crowds. Attending an event last week at San Antonio Botanical Garden, I spotted bright foliage peeking over the bamboo fencing of Kumamoto En, the Japanese Garden. Would it be possible I had arrived at that brief moment when Japanese Maple foliage peaks in San Antonio? December has been amazing for blooms this year with warmer weather and plenty of rain early in the fall. 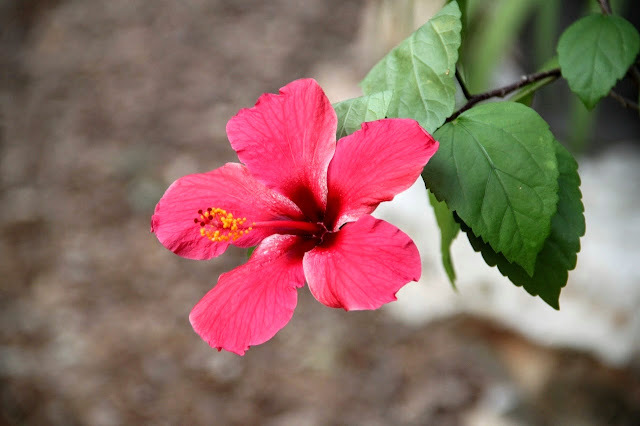 Since many gardens in North America are dormant for a few months, it's a good time to share December blooms from my Zone 8B garden for Garden Blogger's Bloom Day. Unnamed Hibiscus shared as a passalong plant is gorgeous and will be stashed in the garage when the weather turns colder (eventually). 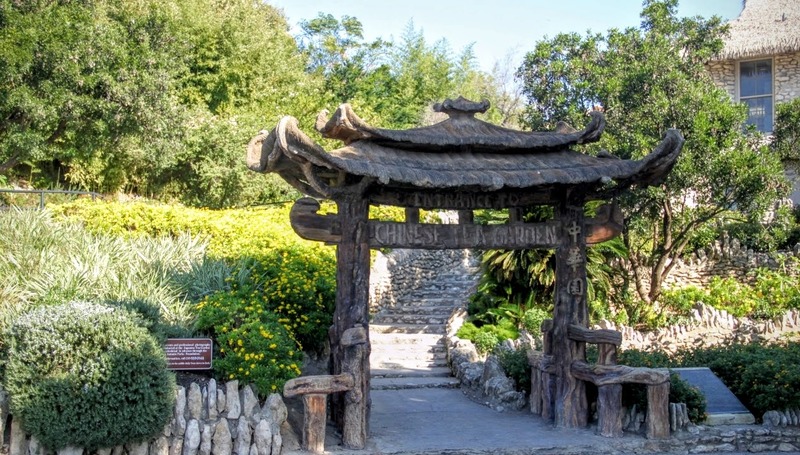 A trip to the Japanese Tea Garden in San Antonio was one of my first posts on this blog. Since it's been so long and I had the opportunity to visit twice in the last few weeks, it's time to share a few more photos. The gardens were built as the Japanese Tea Garden on an old quarry in the early 20th century by Japanese artist Kimi Eizo Jingu who also lived on the property with his family. The "Chinese Tea Garden" gate was completed after World War II during a time when the gardens had been renamed. 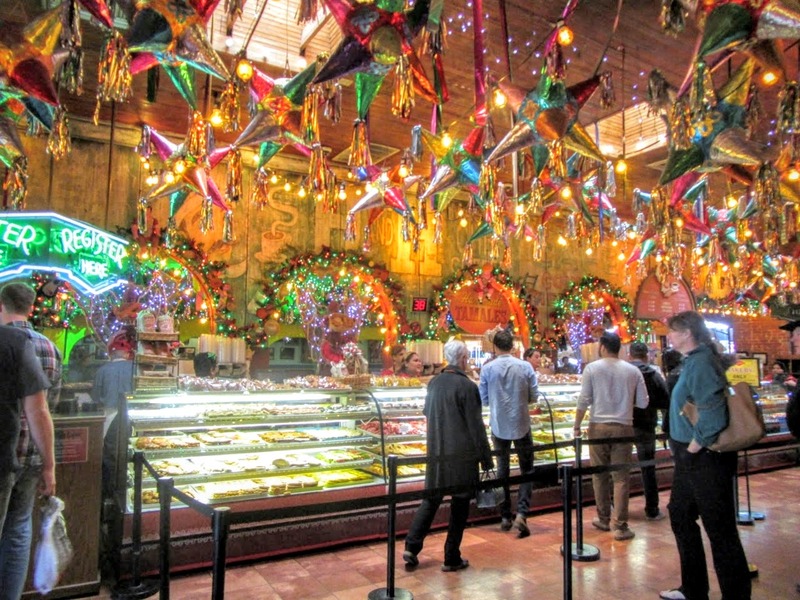 It's December so let's get this party started with a visit to Mi Tierra, a San Antonio icon for 75 years. Wow, they go all out for the holidays don't they? Not exactly, the restaurant looks like this year round which means we can have Christmas in July or whenever. A huge panaderia or bakery spans one side of the lobby. When I first began posting for Wildlife Wednesday I figured it would be easy to come up with a few bird photos each month along with butterflies during the summer months so I dove right in when Tina at "My gardener says..." started up this meme. Now each month I'm amazed to see the range of wildlife attracted to my increasingly urban garden setting. Let's see what's been visiting my garden the last few weeks. Foxes have been sighted more often as we get deeper into fall. I walked past the kitchen door and saw her looking in at me, grabbed the camera and ran outside. By then she was under the deck. When she heard me she jumped out and ran away after a moment or two of curiosity. Foxes run with all four legs in unison so they appear to skim across the ground and can run about 30 mph. 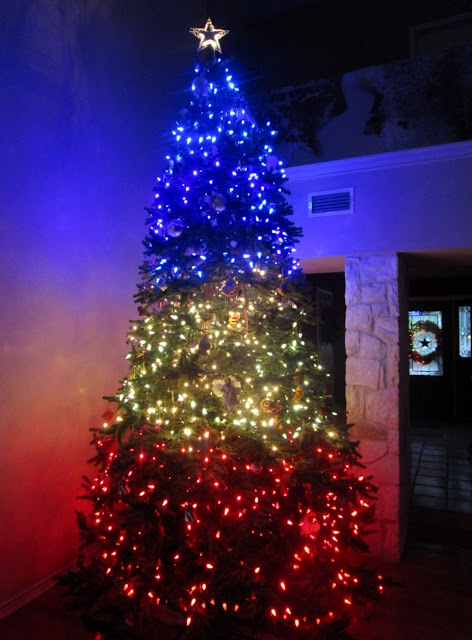 Our red, white, and blue tree, a tradition we began in December 2001, has been changed up a bit for 2015. Instead of the usual five stripes there are just three and it's bleu, blanc, rouge. We still have wonderful memories of celebrating a special anniversary in Paris nearly 20 years ago. Overlooking the City of Light from the Eiffel Tower at midnight was an unforgettable moment. 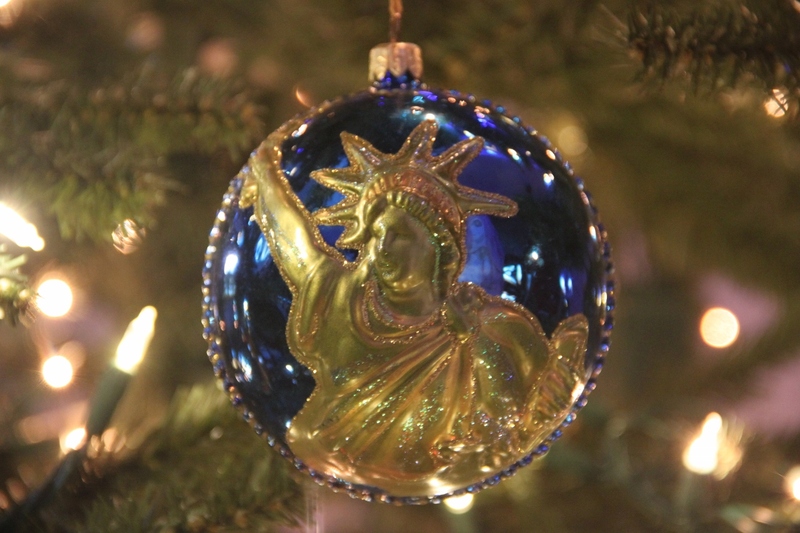 Lady Liberty, a gift from France. NYC skyline on the other side. So, here's looking at you Paris, may those lights continue to shine.